Today’s online world is a competitive one and getting your business noticed is more difficult than it’s been before. Businesses of all sizes and backgrounds are competing for the same search engine real estate that you need to reach potential customers. Outranking large or franchised businesses can prove difficult, but if you are targeting your city and cities around you, local SEO can give you the push you need and Design & Promote can help. Here at Design & Promote, we have been helping businesses get noticed for over a decade using local SEO. In fact, our first service offering was SEO and after helping local businesses increase their online visibility, we realized there was a need to offer other services that compliment Search Engine Optimization. We now offer a variety of services that will help your business grow in the digital world. To learn more about local Search Engine Optimization or if you have any questions about our other digital marketing services such as Social Media Marketing, give us a call today at 630-995-7109. You can also reach us by filling out the contact form located on this page and we will respond shortly. Targeting local clients is an efficient way to gain visibility in your city. It dedicates SEO efforts to the areas that will benefit you most and a local SEO strategy will allow you to compete for a good ranking on SERPs. This strategy is particularly useful for those nearby searches and helps to give you an edge over other businesses that are focused on national keywords. Local Search Engine Optimization also helps you expand your reach to neighboring cities. Having your physical address for Google My Business helps immensely but it doesn’t allow you to reach into those other cities as effectively. With a local strategy, you can target those cities through keywords and show up for local search queries there, which increases your visibility, helps further your credibility, and gives the potential to gain more business. 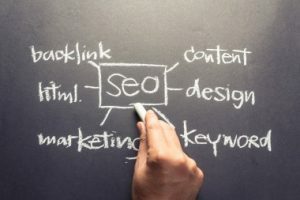 To learn more about our SEO strategies and how they can help increase your online visibility or if you have any questions about our other services, call us today at 630-995-7109. Or simply fill out the contact form on this page and we will get back to you as soon as possible.